If you’ve ever visited Bayfront Park in Hamilton, then you’ve probably heard of or seen Hutch’s Harbour Front. 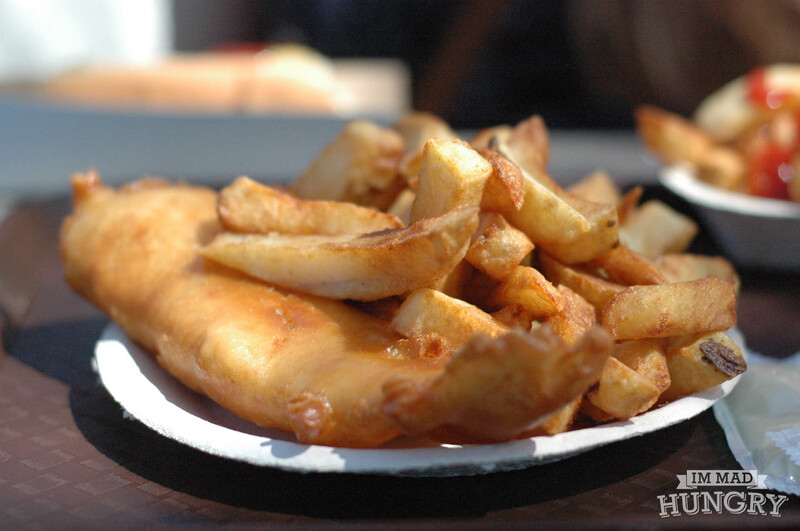 The little fish and chips shack sits right at the intersection of Bay Street and Harbour Front Drive – the entrance to Bayfront park/parking lot. It overlooks the bay area and marina. There is seating inside and outside, and the patio is great in the summer to enjoy the weather and delicious food. Other than fish and chips, they also serve burgers, hot dogs and ice cream. Michelle and I came here for lunch and we sat on the patio under the shade from a giant tree. I got their fish and chips. The fish was piping hot, delicious, and crispy. The batter was thin and it allowed the tender, delicious fish shine through. They had packets of tar tar sauce for the fish, oh god, that was good too. The plate was loaded with fries, but when I got to it they were soggy. I’m just a slow eater. Michelle ordered a hot dog with a side of fries. We enjoyed our food on a breezy summer afternoon and took a relaxing walk along the waterfront after our meal. The Bayfront/Harbour front is a wonderful place to take a walk, ride a bike, or go for a jog. The paved trail runs along the water where you’ll see a bit of wildlife – including swans, fish and families of ducks and geese. The area under the bridge, by Princess Point is a popular place for casual fishers. By the east end of the trail, past the marinas, you can find William’s Cafe, ice cream, Sarcoa restaurant and an ice/rollerblading rink (ice skating in the winter and rollerblading in the summer).